The back of house team are responsible for ensuring that every dish is cooked to perfection, so an eye for detail is key. From our famous Big Breakfast to our Seasonal Classics, we have a broad menu and offer everything all day every day. The ability to multi task, communicate and work as a team is key in this role. We can offer a great environment to develop your skills from prepping and baking to grilling and frying. 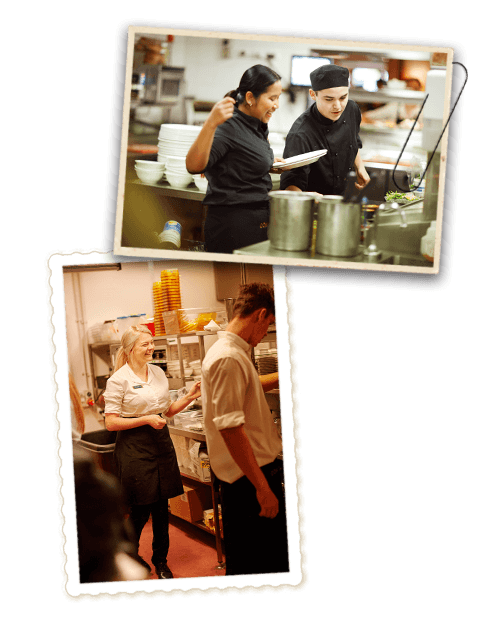 Working alongside the front of house team it can be a fun and fast paced environment with opportunity to progress and develop.